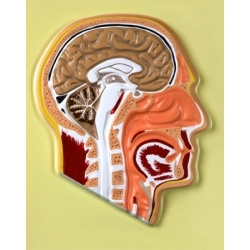 Bas-relief model of the human head. 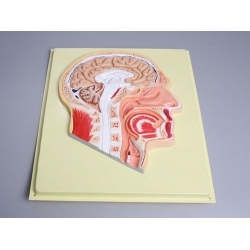 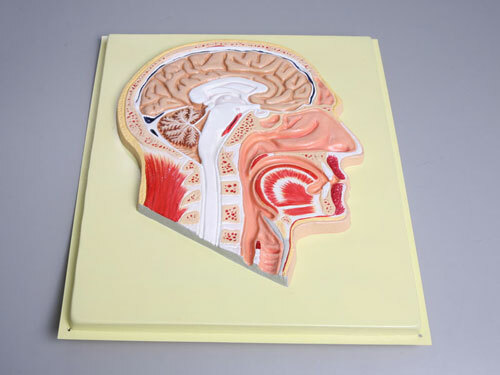 This model represents inner contour of brain and neck in dissection section: brain parts, the structure of nasal cavity, oral cavity,pharynx, esophagus and larynx. 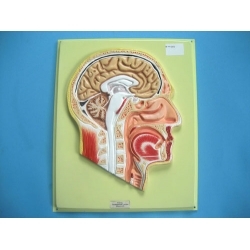 The color coding is used on model.